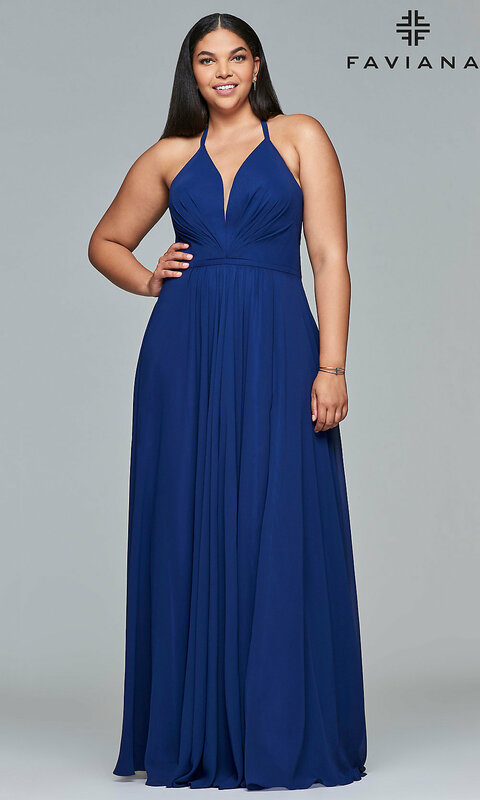 This beautiful long v-neck plus-size prom dress by Faviana has all the design elements for a fabulous look at prom or formal party. 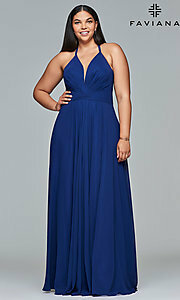 The halter-top dress has a plunging v-neckline with a sheer-mesh inset for stability on the lightly pleated bodice. 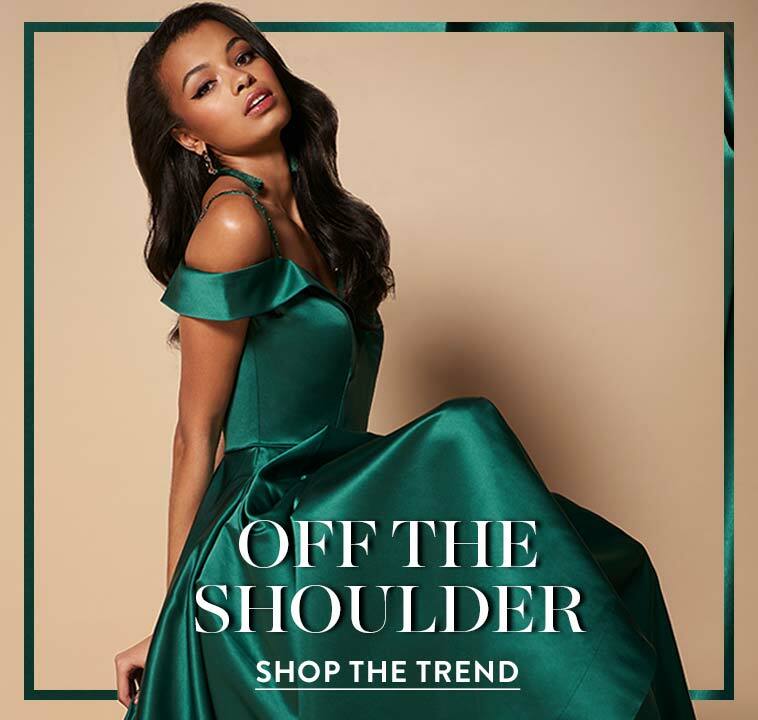 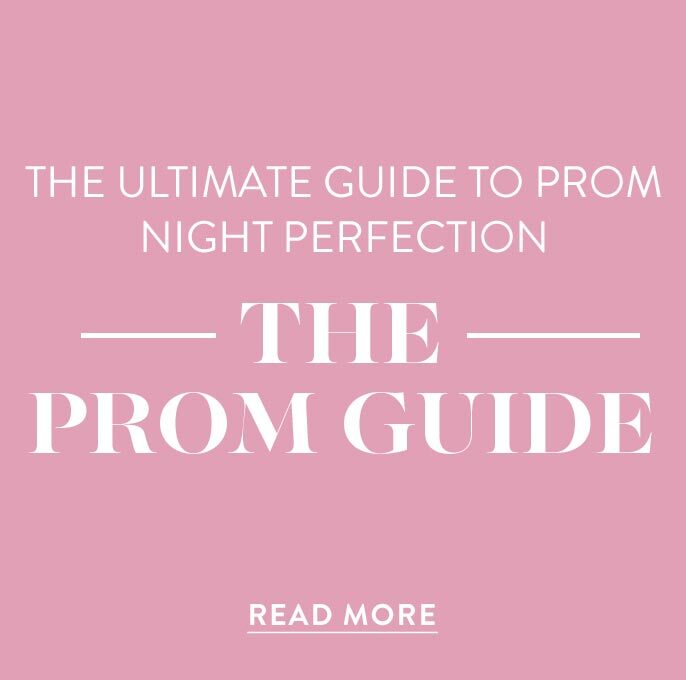 Dual back straps extend from the halter neckline to connect with the lace-up corset back that ensures a perfect fit to this designer plus-size prom gown. 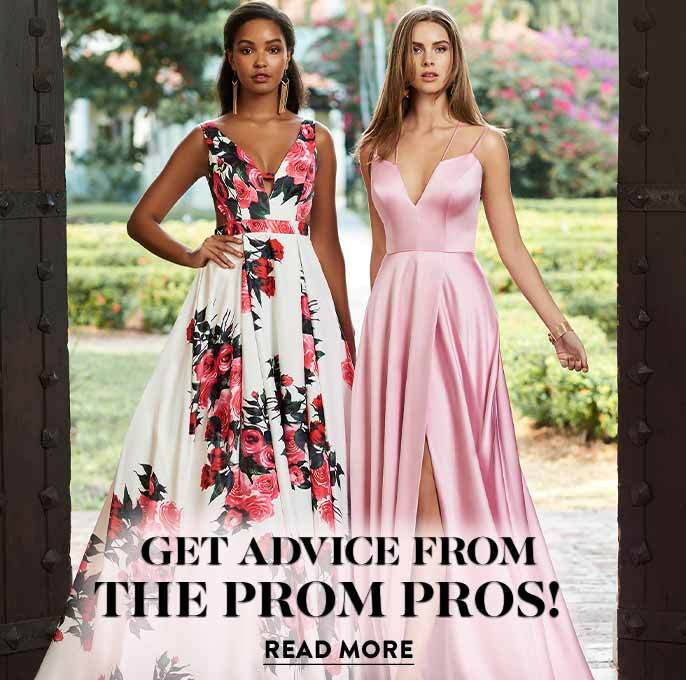 The full-length corset prom dress has a flowing a-line skirt that is lightly gathered at center front and falls in silky layers from the natural waistband with a thigh-high slit. The model wearing cloud blue is 5'11" and wearing 2.5" heels.